I am grateful for having a smart phone. On my drive home I reflected on the number of personal phone calls, emails and texts I was able to respond to in such a short period of time. I am very thankful for this ability but in many ways miss simpler times of childhood/the early 90’s. Since I have been having knee pain I haven’t been going to ultimate frisbee practice. Go Granite State Grass Stains! Go, go, yay! Today I gave it a go. Running straight forward…fine. Cutting, starting and stopping are questionable. It was nice to see everyone! Didn’t enjoy the cloudy, windy 45 degree weather though! 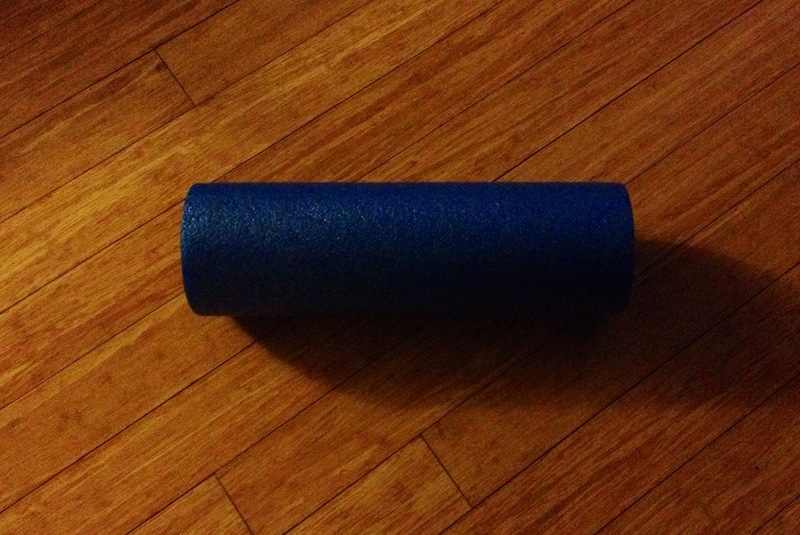 I got a foam roller to work out my muscles, especially my IT band. It is just as painful as the one I tried in PT…but at least I know it’s working!! I am grateful for our trip to Home Depot today. Due to having gift cards we felt good about more expensive/longer lasting fencing. Putting them up next weekend! I am grateful for medical professionals. Most recently Physical Therapists. I recently had some knee pain and went to PT last week. Just used a foam roller and massage on my IT band (which hurt like hell) but was able to trot 2 miles with no pain (but questionable friction in knee). Let’s go me!! I am grateful to find clean underwear in my dresser drawer…especially the ones that fit well, not all stretched…or thongs, ew. Down to the last one today! Time to do laundry!! Short visit with Jaime, but has been a good, low key couple of days catching up. 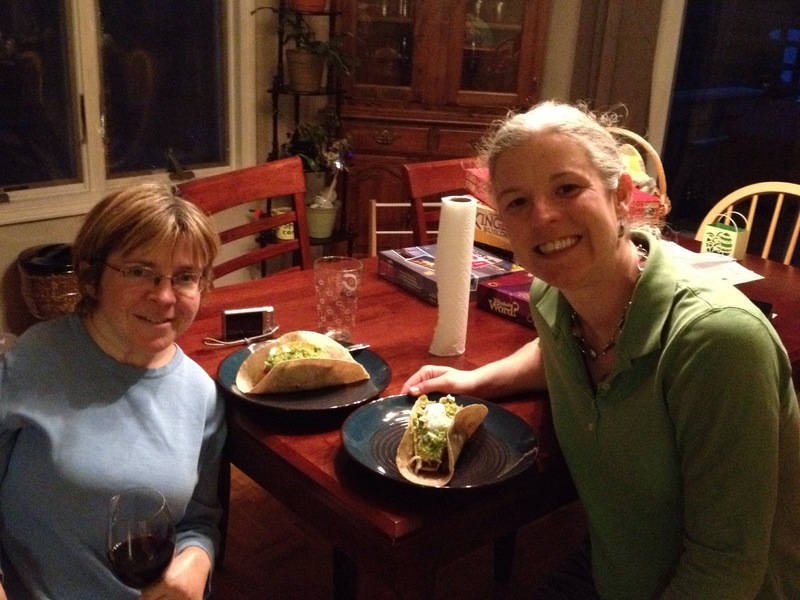 Weather was great yesterday, but 50 and rainy today…hit up some local shops, played games and made massive tacos! !